Sweat shirt 100% organic cotton fleece, super soft and comfortable. With cuffs and kangaroo pocket. Available up to size 110/116 cm. 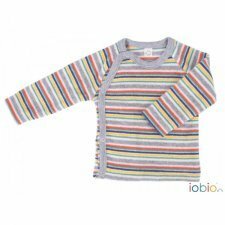 Baby cardi with front press buttons opening, made of 100% organic cotton interlock. It is perfect for the sensitive skin of babies. The heavy fabric is ideal for autumn and winter. Cardigan in 100% organic merino wool. Front opening with five buttons in wood (for the blue color) or in mother of pearl (for the grey colour). Colours: navy or light grey. Available up to size 98/104 cm. 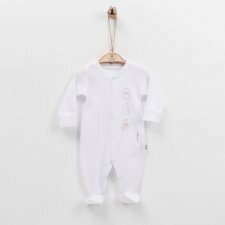 Cosy and warm crawlers made of 100% organic cotton interlock. Elastic waistband and ankles for a perfect fit. Elastic cuffs are made of 96% organic cotton and 4% elasthane. Available up to size 86/92 cm. Made in Europe by brand Popolini. GOTS certification. Colours: blue/white stripes, red/blue stripes or navy. 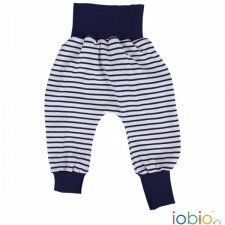 Baby footed leggings with elastic waistband, made of 100% organic cotton interlock. It is perfect for the sensitive skin of babies. The heavy fabric is ideal for autumn and winter. 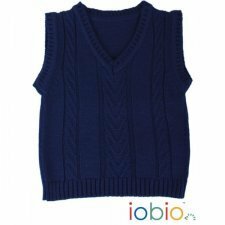 Knitted gilet made of 100% merinos wool. V-neck. The hooded wool jacket in certified wool is ideal for the cold season. It has always been appreciated for its natural thermoregulating effect. 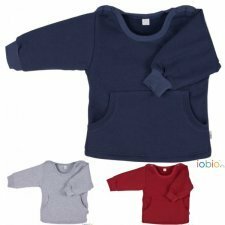 The hood is lined with a pleasant cotton interlock, for optimal protection against the cold, envelopes on the sleeves. The protective tab on the neck ensures a secure closure of the zipper without "tweaking". The border is made of pure wool. Trousers 100% organic cotton, super soft and comfortable. Ideal for mid-season and summer. Available in blue, green or red. 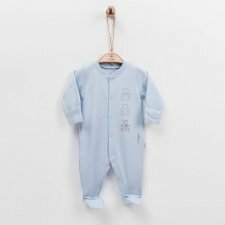 Baby long sleeve kimono shirt. 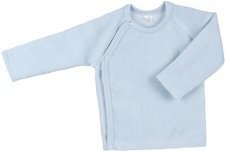 Made of 100% soft and warm organic cotton chenille. Side closure with 3 poppers (nickel free). Available in pink, blue, ecru or gray. 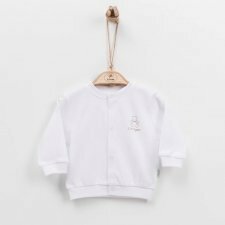 Baby long sleeve kimono shirt. Made of 100% soft organic cotton terry. Side closure with 3 poppers (nickel free). We have the perfect baby summer short for your baby. 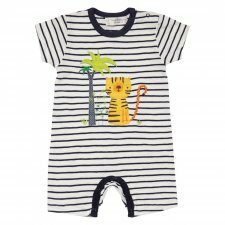 The EMILIO baby short is so easy to wear, super comfortable and made of 100% organic cotton. The elastic waistband makes it super easy for dressing and ensures the shorts won’t fall off. There are fake pockets just for looks. 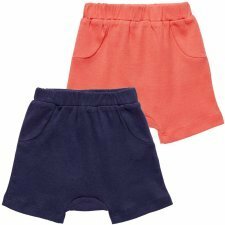 These shorts are the perfect baby basic and are so easy for newborns. 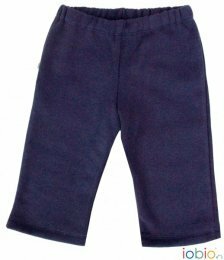 The MAGESH baby short is perfect for summer. 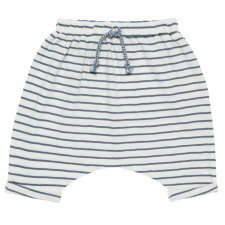 They are light and airy and are made of 100% organic cotton making them so comfortable. These shorts feature: an elastic waistband with drawstring, a slight drop crotch, hand folded leg hems.